So, today, fellow Cheyenne residents, we have a problem. It is a monumental problem, but not an insurmountable problem. You see today is actually a boring day like National Georgia Day. Why would we want to celebrate some country over near Russia? Oh wait a minute, never mind…wrong Georgia. It is also National Watermelon Day. Now, there is nothing like an ice-cold watermelon on a really hot day, but just one day later is National Chocolate Chip Day. Therefore, this year, we will just go ahead and let you celebrate one special day! National Chocolate Chip Cookie Day is observed annually on August 4. This is a day to enjoy those tasty bits of chocolate in your favorite cookies. For the same reason, we thank Ruth Graves Wakefield for chocolate chips, we also celebrate her name on National Chocolate Chip Cookie Day. For if it weren’t for her curiosity and invention, we wouldn’t hover around ovens savoring the moment the timer dings. 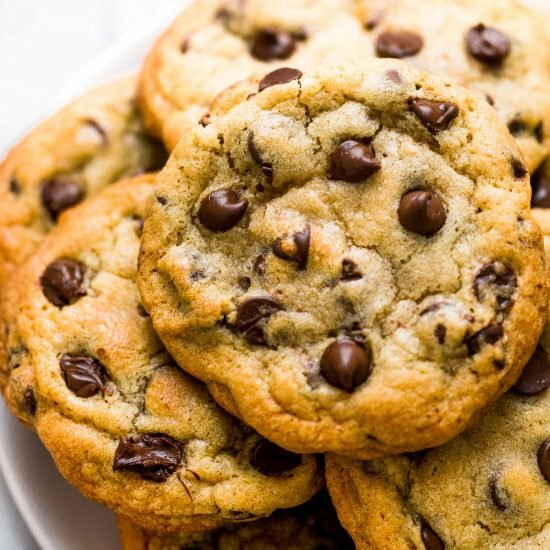 If she had never wondered what chunks of chocolate would taste like mixed into a sugar cookie dough, we would not know the ecstasy that is a warm chocolate chip cookie melting on our tongue, our eyes closing in heavenly satisfaction and perfect smiles crowning our faces. No, if it weren’t for Ruth Graves Wakefield, entire generations would have been denied the bliss that is a chocolate chip cookie. We could even go so far as to say she is responsible for all those other nuggets of goodness. Those morsels of butterscotch, peanut butter and white chocolate we get to enjoy in much the same way we enjoy our chocolate delights. Nothing, though, rates quite as high as the chocolate chip cookie that Ruth Grave Wakefield brought to us in 1937. No, nothing. Today will be a great day after all. We get to celebrate my all-time favorite cookies two days in a row and there is no better way to enjoy the first weekend of August than by eating chocolate chip cookies. Eat them plain. Eat them with a glass of milk. Eat them with a bowl of ice cream. Eat them with your favorite RE/MAX realtor. Seriously, if you plan on celebrating with me and bringing some chocolate chip cookies to our office, then make sure you speak to me so we can help you find a really sweet deal on your new home. If you want me to sell your home for you, then I will even bring chocolate chip cookies for all who come to our open houses.